Deeds Point MetroPark is located at the convergence of the Mad and Great Miami Rivers. 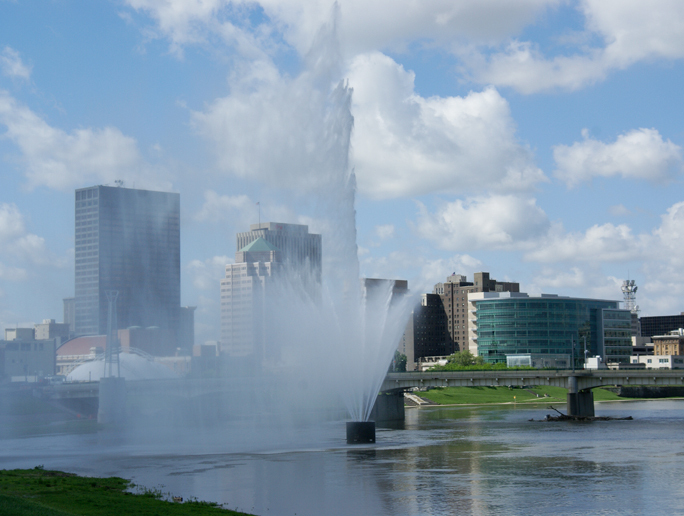 This smaller MetroPark provides great views of downtown Dayton and the rivers that pass it borders. Not only do you get some great views, but you also see many other sites listed below. If you are driving, you want to find Webster Street, and in the 500 block on the west side is Deeds Point. 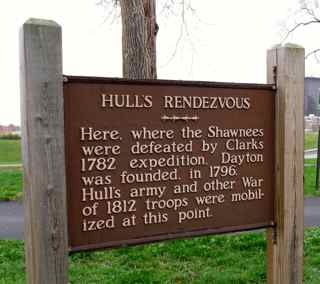 You will notice this historical sign which will let you know that “…Dayton was founded in 1796”, and some other historical events. When you are pulling in, you will see the views of downtown Dayton; keep driving until you get to the point. There are some great places to check out nearby. 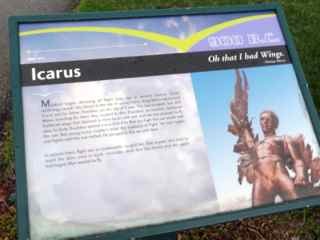 There are benches and plaques which will give you a brief history of flight. One end starts with Icarus and the other end is Neil Armstrong on the moon. In the middle of the river you will see the huge fountain. Typically in late spring, summer, and fall, each hour the fountains are shooting for a few minutes. When dusk falls, you&apos;ll be able to see colored lights on the fountain. 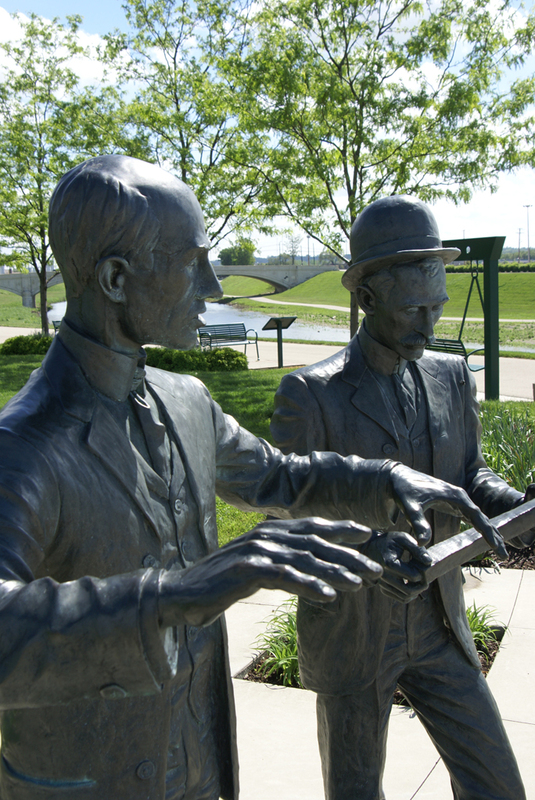 The park also has a monument — The Dayton Peace Accord — that symbolizes the agreement for peace between Bosnia and Herzegovina struck in Dayton, Ohio on November 21, 1995. 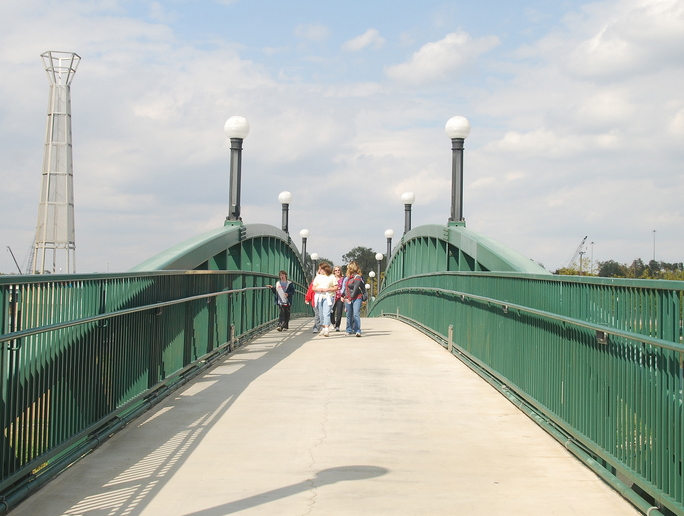 You can easily walk across the bridge to see many more views. You will see the bicycle paths and get close to some of the fountains. Note that on all the fountains is a line and “1913.” This is the level of the river during our famous flood in 1913. Hope you enjoyed your tour through Deeds Point! Please Note: The Dayton CVB has compensated me for my thoughts on Deeds Point MetroPark.